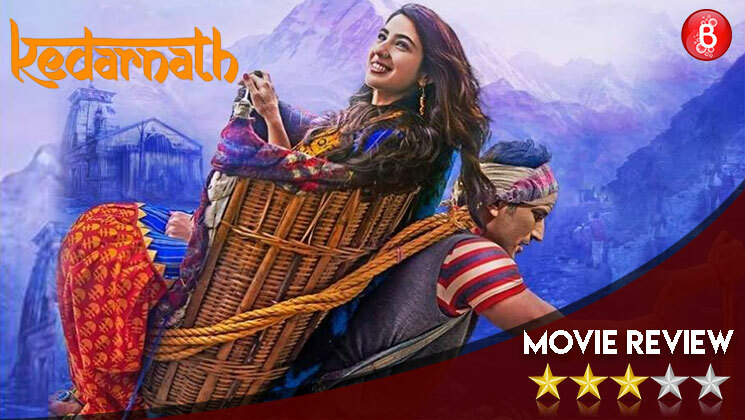 Considering Indian audiences want their movies to deliver Entertainment quicker than their heartbeats, ‘Kedarnath’ might fail to set the box office on fire. It’s laboured pace, certain dull scenes and shoddy editing are things that certainly didn’t tick the right boxes as far as we are concerned. That said, it has several things going for it in the right direction as well. The chemistry between Sushant and Sara is quite electric, and a lot of credit should go to the debutante for showing such confidence even in emotional scenes. We were also very impressed with its VFX and the manner in which the floods have been portrayed kept us (and everyone else in the screening) mesmerized. If we coud, we would actually go back in time to help the victims of the disastrous floods that shattered the state of Uttarakhand in 2013. It was a little reminiscent of ‘Titanic’ which isn’t really a good thing because there was an overwhelming ‘we have seen this before’ feeling. It’s very usual to see one man fighting to save his love, and we wish that director Abhishek Kapoor could have served this old wine in a new bottle. Unfortunately, there is nothing new to his treatment of the subject. The story of this film revolves around Mukku (Sara Ali Khan) and Mansoor (Sushant Singh Rajput). They face trouble because Mukku’s father is a priest and doesn’t approve of Mukku’s romance with Mansoor. This gives rise to arguments, and ultimately, the film reaches its climax after the flood wreaks havoc on the holy town. If you are someone based in the city, you’ll find the backdrop of the hills extremely fascinating and special mention should be given to the cinematographer for creating that mood. If you can wait for your meat to be grilled slowly before you eat it, you might take a liking towards this movie. We’ll recommend that you go and watch it, because well, there are not many options around for a Bollywood buff until SRK’s ‘Zero’ releases.